The Battleship Texas, the goodwill ambassador and museum ship that resides at the San Jacinto State Historic site, is back in the business of serving the nation this week — this time in a new role. The century-old battleship, a formidable warrior that saw the nation through two World Wars, is serving as a testing platform for a six-foot-long robotic fish designed to detect contraband hidden on a ship’s hull. 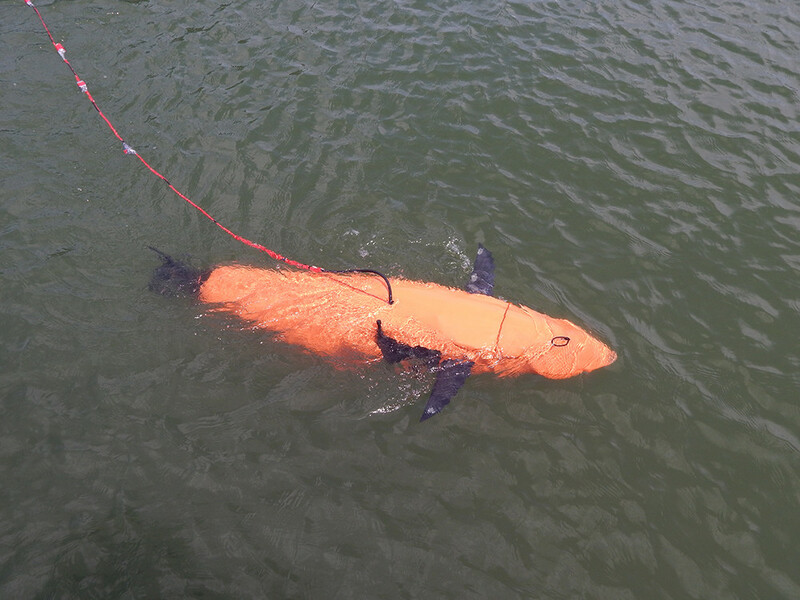 The test team planted packages of mock contraband of varying sizes in tight, hard-to-reach spaces on the battleship’s hull and put the BIOSwimmer through the paces to see if it can successfully detect them.